Wolves have set their sights on Internacional centre-forward Nicolas Lopez, according to the Birmingham Mail. The newspaper has claimed via their website that Wanderers have sent scouts to South America to keep close tabs on the 25-year-old Uruguayan and watched him play in the Copa Libertadores draw with River Plate on Wednesday night. Lopez is naturally a striker, but he played on the left-wing in the 2-2 draw with River and managed to score his third goal in his last two matches. Lopez has been in great form for Internacional over the last few seasons. He has started the current campaign well for the Brazilian club, scoring three goals in three Copa Libertadores appearances. Last season the ex-Roma forward scored 11 goals and supplied six assists in 35 league outings for Internacional. Wolves could definitely sign worse strikers than Lopez and it seems like he might be a good back-up option for Raul Jimenez at Molineux in the 2019/20 campaign. Wolves reportedly had someone watch over Lopez as he scored against River Plate on Wednesday, so the scout’s report on the Uruguayan is bound to be good. 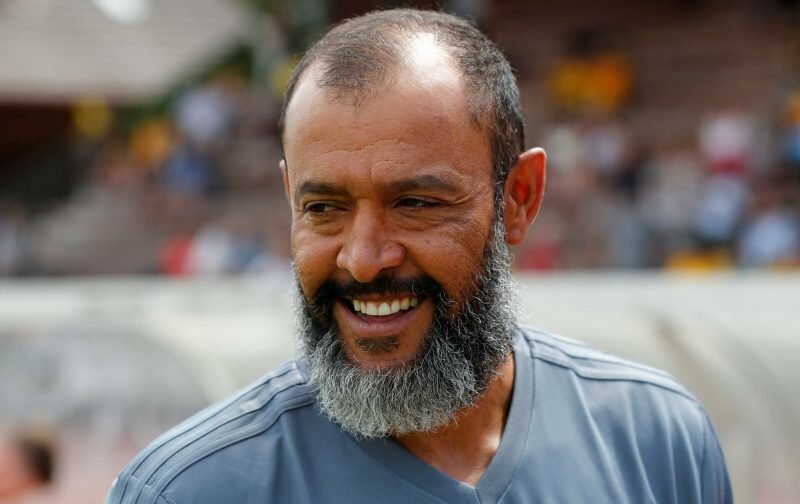 Nuno Espirito Santo is bound to have several strikers on his shortlist ahead of the transfer window re-opening in the summer, so it is too soon to say whether Lopez will be the man he actually goes for.